, known all over Europe by the name of Padre Martini, was born at Bologna in 1706, and entered into the order of the friars minor, as offering him the best opportunities for indulging his taste | for music, which he cultivated with so much success as to be regarded, during the last fifty years of his life, as the most profound harmonist, and the best acquainted with the history and progress of the art and science of music in Italy. 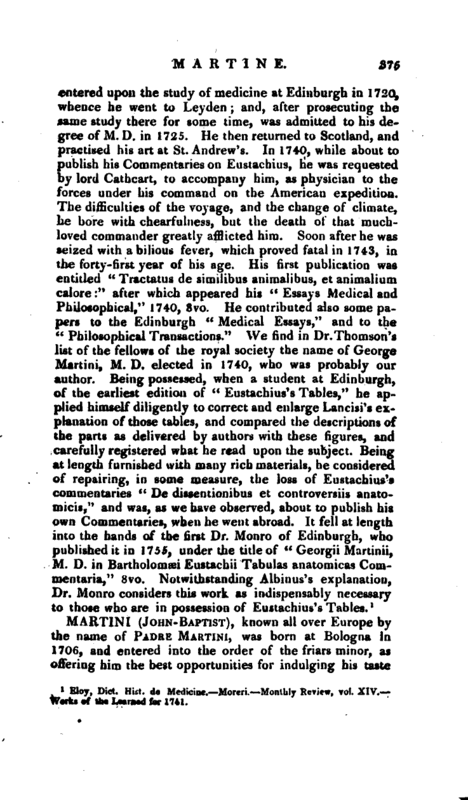 All the great masters of his time were ambitious of becoming his disciples, and proud of his approbation; and young professors within his reach never thought themselves, or were thought by others, sufficiently skilled in counterpoint, till they had received lessons from this deep theorist, and most intelligent and communicative instructor. 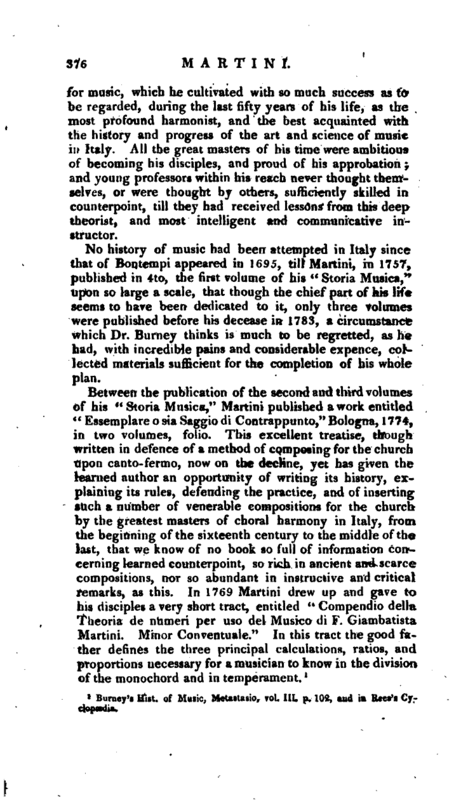 No history of music had been attempted in Italy since that of Bontempi appeared in 1695, till Martini, in 1757, published in 4to, the first volume of his “Storia Musica,” upon so large a scale, that though the chief part of his life seems to have been dedicated to it, only three volumes were published before his decease in 1783, a circumstance which Dr. Burney thinks is much to be regretted, as he had, with incredible pains and considerable expence, collected materials sufficient for the completion of his whole plan. 1 Burney’s Hist, of Music, Meta?tasio, vol. III. 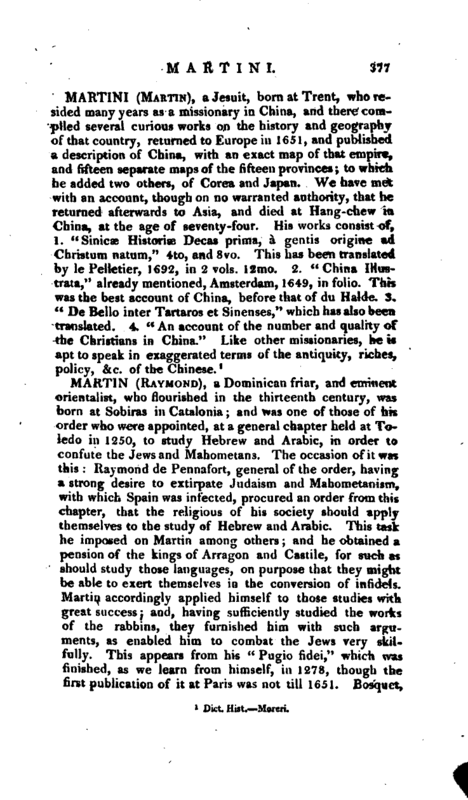 p. 102, and in Rees’s Cyclopædia.